With our Head Office in Brisbane, Queensland, Morrissey Training is ideally situated to service the vocational education needs of various countries in the Pacific. As well as our Australian training we have delivered training in Papua New Guinea and East Timor. We have worked in Papua New Guinea with the PNG Ports Corporation Pty Ltd in the key areas of Workplace Health and Safety and International Maritime Security. 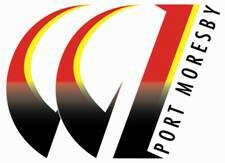 As proud members of the Port Moresby Chamber of Commerce, we relish the opportunity of working within PNG and in other developing countries with a view to improving individual competency and corporate best practice. Our founder and Managing Director, Victor Morrissey, spent over three years working in Port Moresby, building and developing business relationships. With our strong Queensland presence and local knowledge, we realise Port Moresby is just one hour’s flight from Cairns and easily accessible. In Dili, East Timor, our Health Services Manager Christine Morrissey, recently completed a series of training seminars with the Directors and Doctors of the Club Medical Centre. A newly formed company providing medical services, Club Medical Centre provides Drug and Alcohol Screening to the local oil, gas and aviation industries. Contact us if you think we can help you or your company. Australian Vocational Qualifications are highly respected internationally. Alternatively we can customise training to your work site requirements.